Cemeteries are treasures and need to be preserved. They are museums, parks, and as is pointed out in the following article from BBC News, 'pleasure gardens'. When people say that cemeteries are wasted space, I wonder what could possibly be a better use of space than a peaceful historic park filled with memories. Work to restore the unique character of Stirling's ancient Old Town cemeteries is set to begin in August. 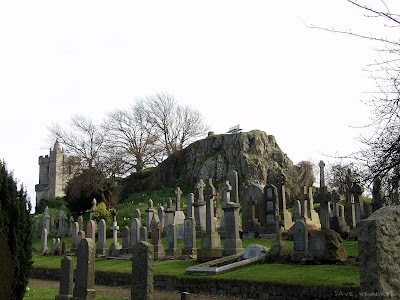 It is hoped the individual character of burial grounds, which date from the 16th Century, can be reinstated. The £1.7m project, being steered by Stirling Council, is expected to be completed by July next year. The work will include the restoration of the cemeteries' original "gardenesque" style as well as restoring stone and iron work. Records show that the area, which sits in the shadow of Stirling Castle, was used for many of the town's social gatherings in the 17th century. The entrance to the site is also marked by the Church of the Holy Rude where James VI was crowned. 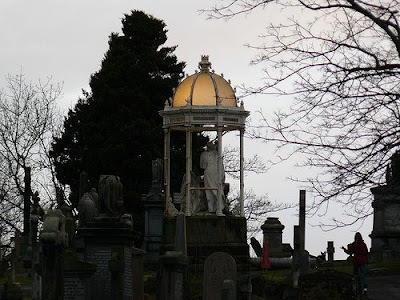 Local councillor Jim Thomson said it was vital the cemeteries were restored sympathetically. He said: "The site bridges both the pre and post reformation periods in Scotland and, interestingly, the gardens were not laid out solely as a burial ground but also as a pleasure garden for local people." The project will form part of a vision to make Stirling's Old Town one of the most attractive urban heritage sites in Europe.